I have been super busy creating things for Christian Heritage School this year from party printables for a Pastor Appreciation Breakfast to locker signs for athletics. 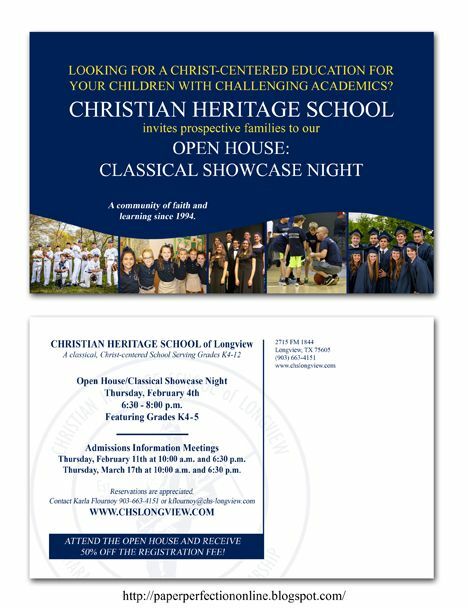 The most recent is an invitation for an Open House for prospective families. Here is what I designed with their marketing director. If you need a custom design contact Paper Perfection at jtanddolly@yahoo.com for pricing and details.